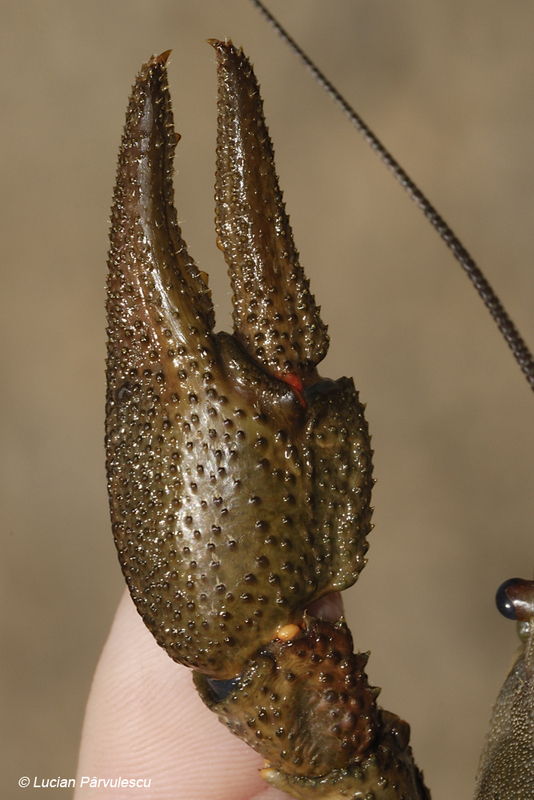 Robust crayfish, medium size, the adults are often over 10 cm long. The dorsal colour of the crust changes from olive brown to dark brown, depending on several factors (like the period between two moultings or the age factor). 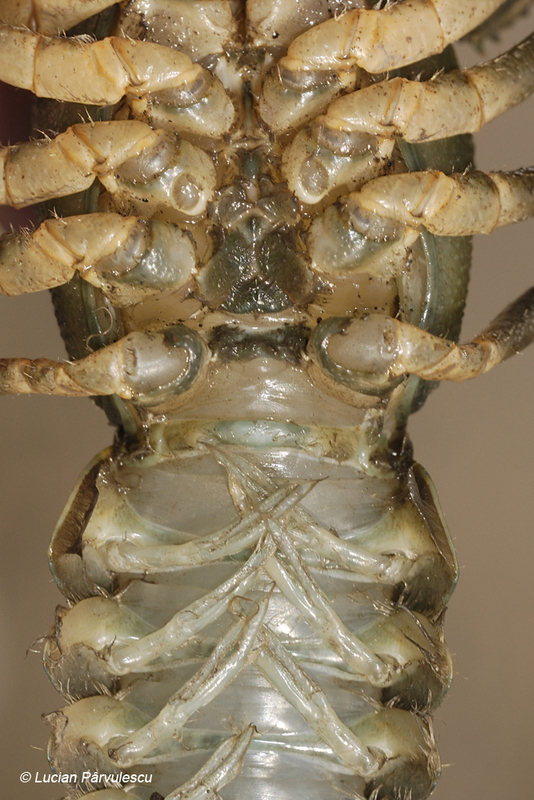 The ventral side has a lighter colour almost red orange, whitener on the abdominal part and more coloured on the articulations of the claws or on their ventral part. The rostrum has the margins less parallel and denticulate, having a sharp apex. 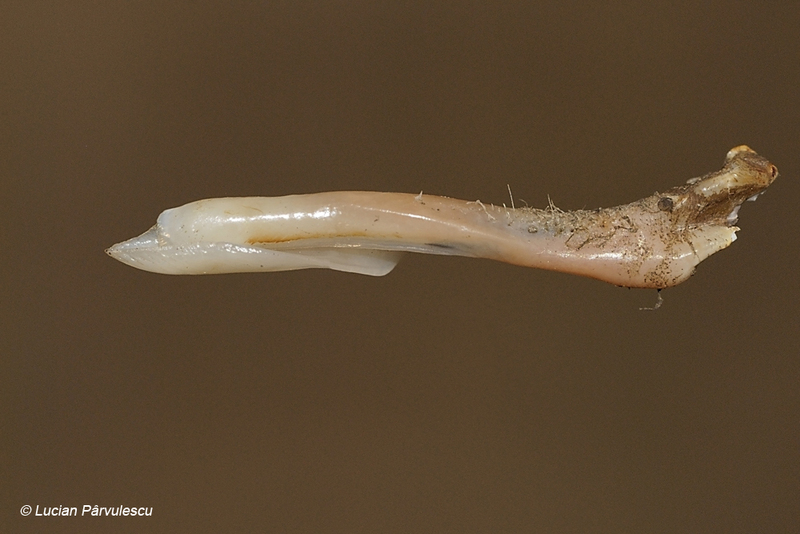 It has two post-orbital ridges, the first one ends with a thorn and the second one is blunt. Behind the cervical section there are several thorns. 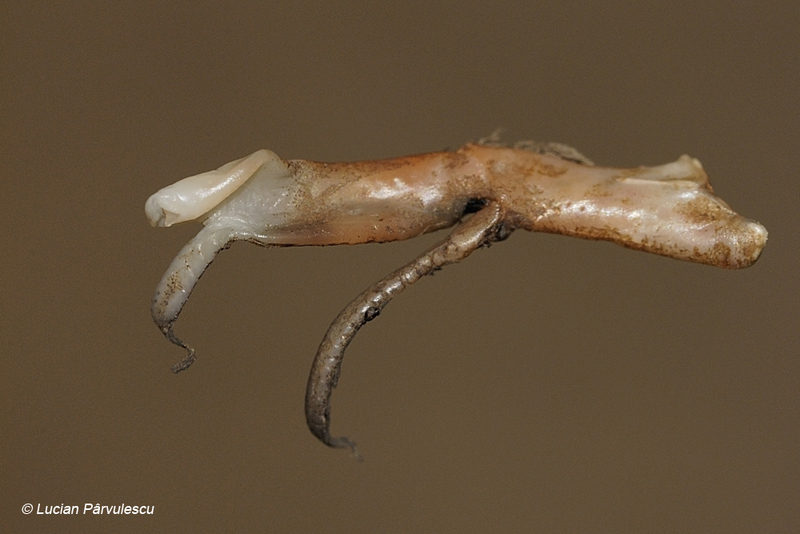 The claws are strong, the propodit has a median cavity that has tubercles on both sides. The dactilopodit has a single tubercle in the proximal third. Aboriginal, this crayfish occurs in Central Europe from France to South, Central and North Russia. In the North it occurs in Finland and Sweden, being rare in Norway and Great Britain. In the South it can be found in Greece and in the North of Italy (Souty-Grosset et al. 2006). In Romania its area of distribution includes the entire country being absent in high mountains and plaines. 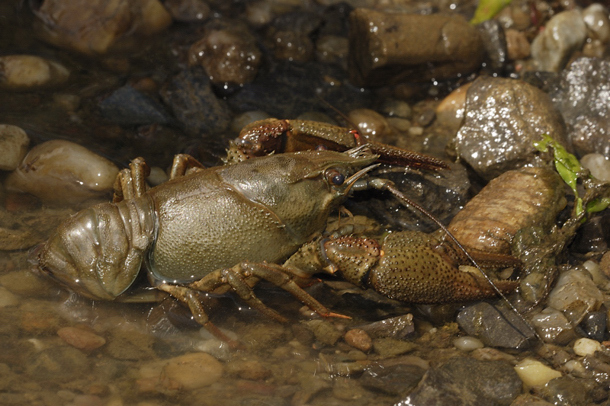 Its distribution overlaps in some cases the distribution of stone crayfish (Austropotamobius torrentium) - for details visit the distribution page. The males have often longer and stronger claws than the females and the abdomen is visibly larger at the females. In order to precisely distinguish the males from the females, especially when we are talking about young crayfish or juveniles, one may verify the sternal plate and the pleopods to be sure. 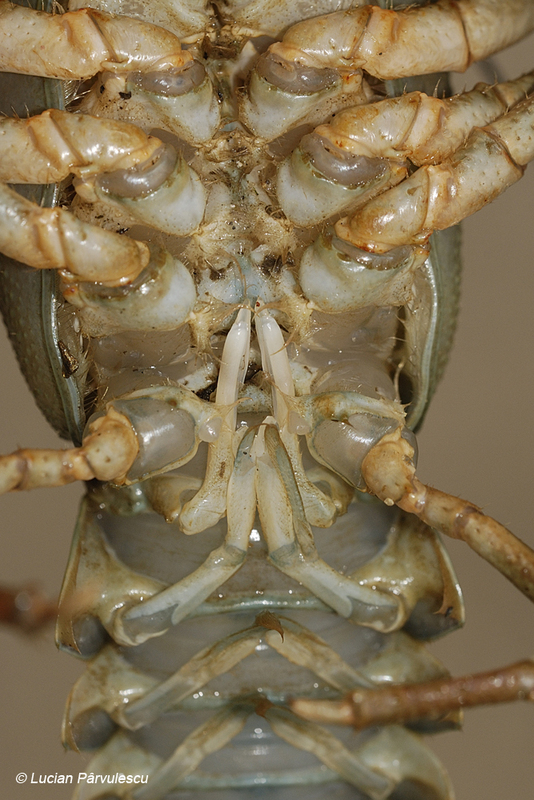 Male crayfish have the first couple of pleopods strong and oriented towards the front while the female has all the pleopods equal. 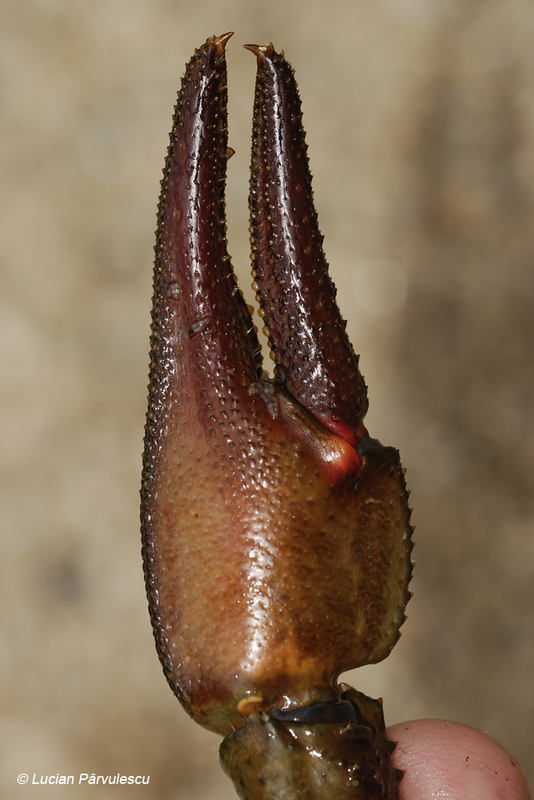 The shape of the first two males pleopods also constitute an important criteria to distinguish it from similar species, so that the first pleopod (Pl.I) has the distal lobe almost 1/3 of the total length while the second pleopod (Pl. II) has the exopodite almost the same length as the enopodit, the distal lobe of the endopodite being almost 1/5 of its length. It lives in running waters (springs, brooks and rivers) or lakes in the mountain area or the sub mountain area wherever it can find adequate places to hide. It digs galleries in the ground banks or lives hidden in the submerged roots but if it doesn't find any the crayfish hides under the rocks or stones. It is more active during the night, eating almost everything, that’s why it represents a truly sanitary of the waters. When they don't find animal food the adults eat submerse plants. 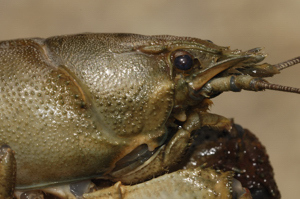 It is sensitive to low concentration of oxygen, during the very hot summers one may discover heavy loss of crayfish especially in the eutrophisated habitats. The natural enemies are the otter, the fox, the badger and water birds (for the adults), the fishes being a real threat for the juveniles; the largest consumer is the European weather loach (Misgurnus fossilis). One of the major problems is that of that of parasite diseases of viral or bacterial nature or the fungus. The oomycet Aphanomyces astaci was introduced in Europe once with the introduction of the North-American species. Compared to this one the local species are very vulnerable because of the lack of antibodies. 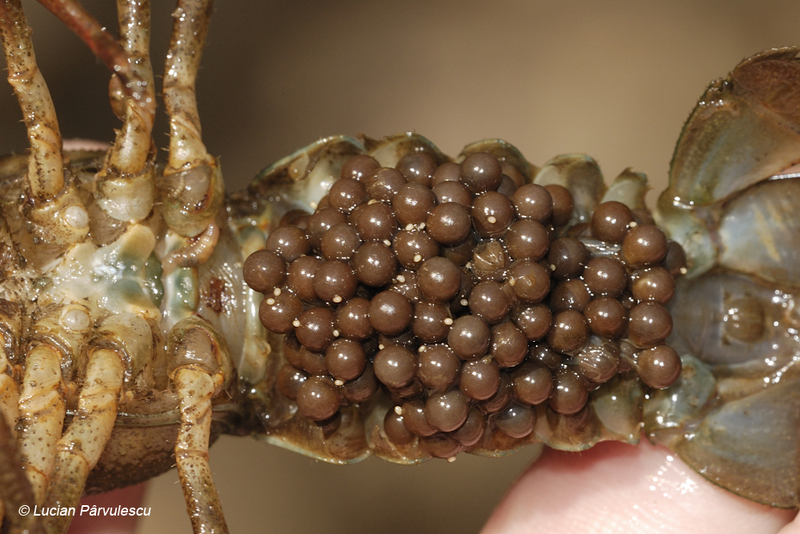 Ectoparasitism, without producing any damage, is frequently found at the branhiobdelides, chironomides, ostracodes species and others. 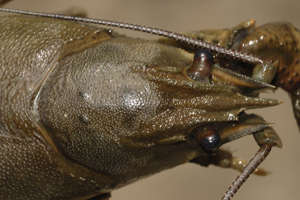 Noble crayfish mates in autumn, in October November, when the females have white spermatophores on the sternal plate. The laying contains number of eggs (90-260) and it is carried by the female between the pleopodes until the juveniles become independent. The success rate is between 55 and 90 % of the total laying. The age is determined taking into consideration the total length as following 0+ 15-23 mm; 1+ 25-48 mm; 2+ 50-80 mm; 3+ 60-80 mm. The growth rate of an adult between two periods of molting is about 5.0-10.3 mm for the males and 2.0-8.6 mm for the females. 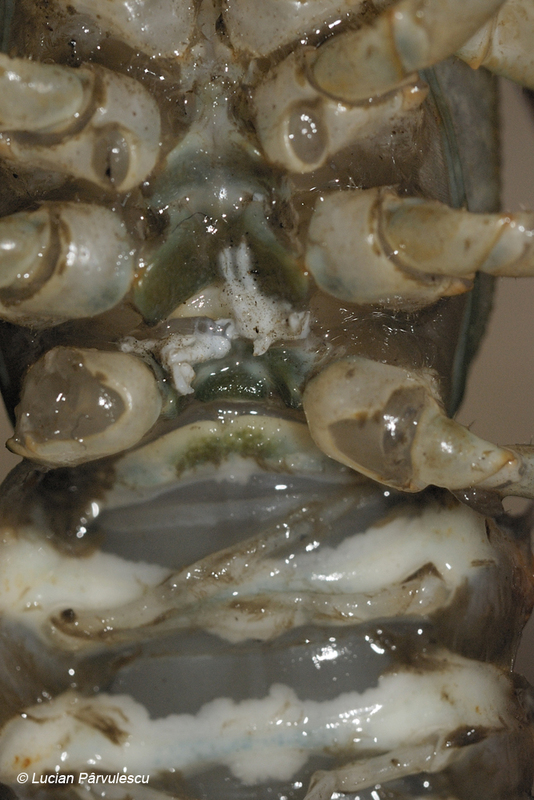 The molting is more frequent to young ages (up to 4 to 5 periods per year) while at the adults the molt happens once or twice a year, usually during the summer. 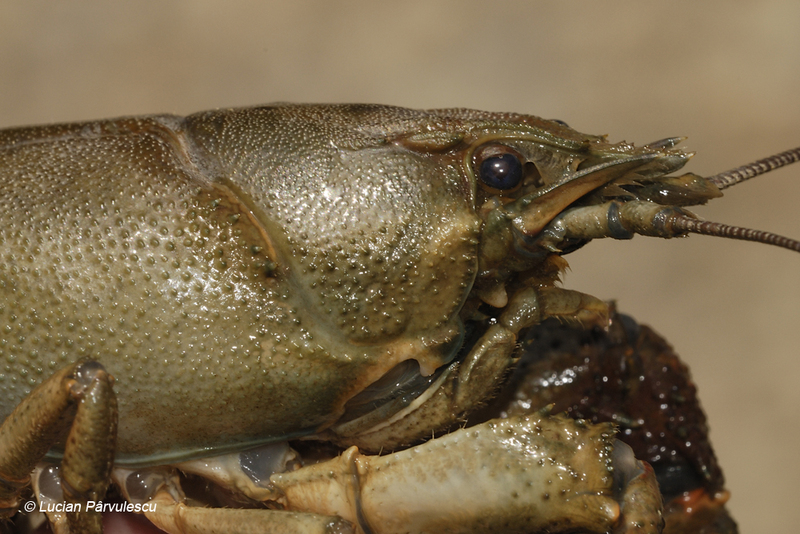 The next couple of days after molting are very critical for the crayfish. Because he loses the protection of the crust and can be easily attacked by fishes or even by other crayfish that have stronger crust. After this period the lost or hurt appendix can regenerate but usually a broken claw grows up smaller. The sexual maturity varies a lot, the males become fertile when they have 60-70 mm and can fecundate each year. The females begin to lay eggs when they have 60-80 mm and after one lying they become sexually inactive one or more years.